As we come together to support and protect each other, here is a list of emergency information is the reservoirs and bayou’s continue to change. We are praying for our city and know that we WILL rebuild. There’s a lot that goes into planning a night out with friends. Between picking where to go and getting all your friends on the same page, its not easy. But, as Houstonians, we’re lucky to live in a city with so many options! From Downtown, Midtown, Montrose, to Washington Avenue and more, there are limitless opportunities for places to go for great food and drinks. 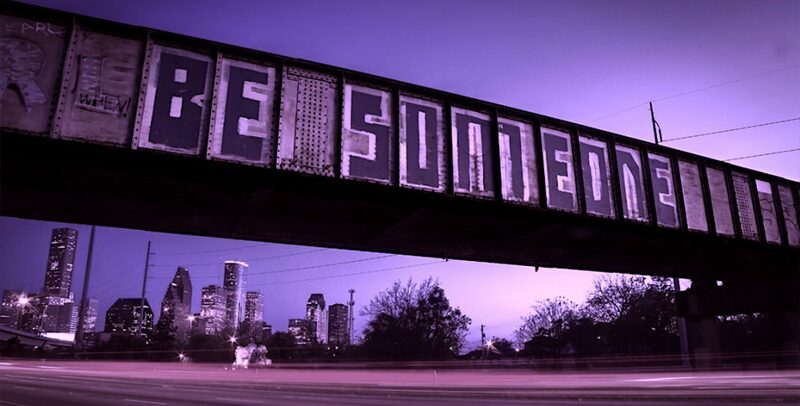 Check out some great spots in some of Houston’s best night areas. This Italian spot is a brand new addition to the Houston scene in River Oaks, having just opened at the beginning of August! It is best described as a champagne bar with fine dining elements, so it’s a great way to start off your night on the town. There are more than 1,000 wines, with 250 of them being sparkling. The food is made to be paired with the wine and champagne, and full bottles come with an impressive markdown compared to surrounding restaurants and bars. Their house fries or “pomme frites” are twice fried in duck fat, a must try for any foodie! This downtown spot is a two for one, as the building also hosts Tongue Cut Sparrow upstairs, which is a speakeasy style establishment with twenty five seats. While the name “the Pastry War” might make you think you’re heading to a cupcake joint, it’s actually a fantastic mezcaleria. They focus on mezcals and tequila centered drinks and also offer impressive house made tamales and queso. You wont find a better margarita in all of Houston! We recommend the Strawberry Balsamic Margarita!! The Conservatory is a downtown underground beer garden and food hall where local vendors come to serve up a diverse selection of food. You can look forward to food from spots like Moku Bar, El Burro, Arte Pizzeria, and Melange Creperie. There are different activities set throughout the week like Trivia Tuesday and live DJ sets during the weekend. The draft list is enough to impress any beer aficionado. So now, take these great spots, and add a few on Washington like Concrete Cowboy or hometown favorite Kung Fu Saloon and head there with all your friends using Texas Luxury Transportation! Party buses are the perfect way to conveniently bar hop with a group of friends while being super safe at the same time! PSA a DWI or DUI is $10,000 – yes, you saw those 0’s correctly!! You can order a bus, it will pick you up from home, and stay with you all night, taking you from bar to bar, all around the city before returning you to your pick up destination, safe and sound. You’re already planning on grabbing your phone to order an uber, so might as well choose a limousine or party bus which offers a much better experience that can even be the same price when split amongst friends. The interior is super decked out with stereos you can stream your own music from, neon lights, cup holders for your drinks, TV screens, and more. And the most important – no one has to be DD!!!! Party buses are legit the most fun thing for a birthday, especially if you live in the suburbs, and a limousine can easily turn a dull night into an experience you won’t forget. Brand New Houston® has used party buses for events before, and lets just say it was a night everyone will never forget!! We Think Our New Favorite Color is Jasper.. Believe it or not, just up North I-45 are some of the best award winning ribs you can try East or West of the Mississippi. We’re talking fall off the bone, all over your hands and face, craving more even though you’re full type of ribs. In a charming town 35 minutes North of Houston, known as The Woodlands, you can find these ribs, and so many other delicious options at Jasper’s located central to all the action right on Main Street. In addition to their fabulous year round menu, they have recently added some summer items perfect for the season. As an appetizer, is there anything better than goat cheese on everything? Don’t worry we’ll wait because the answer is no. Add it to the end of peach season and you have yourself the perfect start to a meal. As a summer special, Jasper’s is pushing out Smoked Peach Bruschetta, which is a crispy Bruschetta with goat cheese and fresh peaches with a drizzle of sweet honey balsamic drizzled on top. Its soft, sweet, and tart with a crunch and will prepare your palate for the barbecue feast ahead. Picking your entree will be the hard part. Between perfectly cooked burgers, quesadilla’s of the day, and a cedar smoked salmon, you’ll be making your next reservation before you even order. However, we highly recommend that whatever you choose, let it have their house-made barbecue sauce, because it’s out of this world good, and they give you plenty of it for dips and drips all over your plate! Our first pick was the Shiner Bock BBQ Rotisserie Chicken. Mix beer, BBQ, and juicy chicken, and we call that a slam dunk – which it was. Crispy chicken skin, moist white meat, and Shiner Bock barbecue sauce laying on a perfect bed of Applewood smoked bacon-cheddar grits. This dish was light and fresh. The barbecue sauce was tangy rather than spicy and the grits were the perfect texture to hold the moisture and flavor of the BBQ chicken. As a hot new summer special item, we see how this can easily become a go-to for a hot summer day running in and out of the pool. Our second and most favorite pick – of course, saving the best for last – is the (drumroll) Slow Smoked Baby Back Ribs!!! These bad boys are so juicy, so flavorful, so amazingly good that you’ll be begging for more, promise! They are award winning too! Bon Appetite named them the top 3 choices of “Best Ribs in America”. IN AMERICA! Bon Appetite wasn’t lying either. Your choice of either 2 or 3 cuts of the ribs (around 4 ribs in each cut) smothered in a tangy and zesty ancho chili BBQ sauce with an unbelievable side of creamy baked potato salad with fried onions on top that you won’t be able to stop eating! This is not a drill, and deserves a full size picture ^ for you to understand the seriousness of this dish. The second that you try to pick a rib piece up, this is what will happen – it will fall right off the bone. You’re not even going to know what to do with yourself, because you won’t remember the last time you picked up a rib and that happened. You’ll start thinking of other places where ribs were that tender.. and you won’t be able to think of any, because you will be in a rib-coma from these babies. And Houston, we’re not joking about the ribs falling off the bone, this isn’t just a phrase… we have proof. Pics or it didn’t happen, so please see below! Have you ever seen bones so clean and beautiful? I don’t think so. Even though you’re probably completely full from your life-changing ribs, if you have room for dessert, go ahead and dive in. If you’re feeling like you need something to hit that super sweet spot, go for the winning Butterfinger Creme Brule, Strawberry-Oreo Cheesecake, or Nutella (!!) Bread Pudding. However, if you want something a bit more fresh and fruity, go for the Seasonal Fruit Crisp with vanilla ice cream. Think a cobbler/crumble mix full of warm and soft berries (blueberries, blackberries, strawberries) mixed with crumble in a smoking hot skillet with a dollop of vanilla ice cream on top to create the perfect hot, cold, sweet, sour mix in your mouth. Plus its mostly fruit, so you’ll feel really good about your decision and one scoop of ice cream isn’t so bad because its calcium anyway and makes your bones strong. Now, thats the perfect meal in our book! So the next time you’re on the hunt for the best ribs in arguably the world and don’t want to have to wait in line outside of some BBQ joint, go to Jasper’s. Or the next time you’re heading up I-45 on your way to or from Dallas, go to Jasper’s. Or the next time you have a concert at The Woodland’s Cynthia Woods Mitchell Pavilion (Sublime and Luke Bryan coming soon) head to Jasper’s before you rock the night away. It’s truly a culinary anomaly, and more delicious that these pictures can show. You won’t be disappointed! Brand New Alert: Bernie’s Burger Bus in the Heights! We know you’ve seen the sign, and you’ve been anxiously waiting. Well, the day has finally arrived! Monday, July 31, 2017 is the official opening of Bernie’s Burger Bus in the Heights. Go! Go! Go! 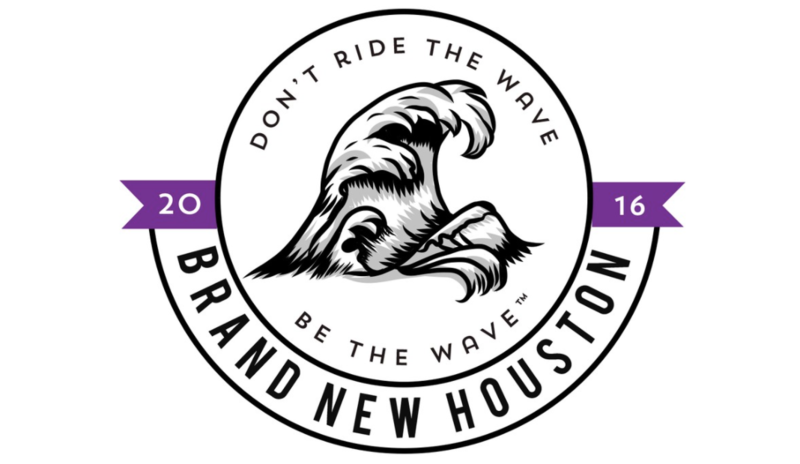 #BrandNewHouston has been a major fan of Bernie’s Burger Bus for over 6 years now. We followed the food truck around the city, and watched the company blossom to its first brick and mortar. Today, they open their third location in the Heights on 2200 Yale St. Houston, Texas 77008. Their other 2 locations are in Bellaire, Texas and Katy, Texas. Whenever anyone asks us where they can find the BEST burgers in Houston, the answer is quick and fast: Bernie’s! The flavor is undeniable, the ingredients are fresh, and every bite is made with love. Our favorite burgers are… all of them, but we’ll narrow it down for you. The Homeroom is a single patty cheeseburger with crispy bacon, caramelized onions, chipotle aioli sauce, and a fried egg on top. This burger has literally everything you need, salty, sweet, and saucy. The Fire Drill brings MAJOR heat as a single patty burger with pepper jack cheese, salsa verde, chipotle aioli, spicy guacamole, slow roasted garlic tomatoes, shredded lettuce, and crispy tortilla chips. A truly amazing burger bringing flavor to heat. This burger is not for the faint of heart! Lastly, if you’re feeling REALLY hungry, the Detention. This mammoth of a burger is a double patty with crispy bacon grilled cheeses as the buns. Yes, you read that correctly, two entire grilled cheese sandwiches as buns. Between the two grilled cheese’s and the two burger patties is also caramelized onion, and Bernie’s house made ketchup, mustard, and mayonnaise. Fear not, if you’re not a beefeater, you’re still in luck at Bernie’s because their chicken sandwich is equally delicious, and they have salads to match. On the side, don’t forget their fresh fries – either regular or sweet potatoes. And definitely don’t forget about their ketchup. As mentioned, their condiments are made in-house and as with all their food has a unique trademark taste, but the ketchup has really made their mark. It’s sweet and tangy and absolutely delicious on everything. As a special Heights exclusive, this new location is the only Bernie’s with a full bar pushing specialty cocktails to go with every burger!! Take another favorite, The Unicorn Burger (which has a patty made of pork shoulder and pecan smoked bacon, topped with pepper jack cheese, pimento mac and cheese, arugula, garlic roasted tomatoes, and house made mustard on a soft pretzel bun) and pair it with your new favorite cocktail. Wash it down with either the Ancho Mama’s Pimm made with Pimm’s liqueur, ancho chile liqueur, and fresh lemon juice, or the Watermelon Margerita made with silver tequila, fresh watermelon, Peychaud’s liqueur, fresh lemon juice, and nectar agave. Now that we’ve given you a quick cheat sheet (Bernie’s pun). You have all the tools you need to get in the new location and have an awesome meal. Bernie’s Burgers is the truth and you’ll be dreaming for more the second you walk out the door! This past week, New Food Houston was invited to visit Ra Sushi for a tasting of their menu during their 13th Annual Nicky Week Special. What we discovered was the same nostalgic Ra we often visited years ago, except with a new fresh flavor. Nicky’s Week is an honorary event that happens for one week each year at Ra in commemoration of Nicky, the child of a Ra founder who battled cancer. When you dine from the Nicky’s Week menu, 100% of the sales go to St. Jude’s Hospital. This week, those dates were from May 22-28, so keep an eye out for this event in the future. It’s an amazing way to give back and eat well while doing it! Now, for this new food we tasted. I’m not sure about ya’ll, Houston, but Ra used to be the spot for happy hour. Especially, before a big concert or event, it seemed like the whole city would meet there. It was the perfect place to throw back some Saki bombs and cheap food before hitting the night. But until now, thinking of Ra as a place to go outside of the hours of 3-7 or 10-11 (yes, reverse happy hour!) never crossed my mind. The Garlic Ponzu Yellowtail. This dish was amazing. As the name suggests, it’s just strips of melt-in-your-mouth fresh Yellowtail in a garlic ponzu sauce, with scallions and micro greens on top. Simple, but it didn’t need to be more complicated. This fish was so tender and fresh, it would be a crime to roll it up with cream cheese and crab mix. The raw fish boat is here to stay and Ra is doing it just as well as the big dogs with this dish. The “Ra”ckin Shrimp. These bad boy shrimp tacos had fried shrimp, Asian coleslaw, and guacamole, topped with ginger teriyaki sauce all in a crispy gyoza shell. With the airy shell and the crispy shrimp, this dish was a hit. Bright, fresh, and flavorful! The Salmon Poke. So, poke is a huge thing now in Houston. The best of the best is popping up all over the city to be crowned the top poke spot. Ra is secretly stepping in with their own poke specials, and while you can’t create your own bowl, their concoction will leave you wanting more. They have Ahi Tuna, Salmon, and mixed Poke options, each with cucumbers, avocado, green onions, seaweed salad, and sesame seeds in their poke sauce. On the side they give a giant heap of white rice and some spicy mayo and Sriracha sauce. This pre-mixed poke really was great and we went with the Salmon first. The fish was fresh and the poke sauce was light and refreshing. The onions and cucumbers were finely chopped and seemed to be well marinated in the poke sauce. Overall, the poke is worth ordering if you want something light and refreshing. After trying all the fresh new dishes on the Ra menu, we had to kick it old school and see if the notorious Viva Las Vegas Roll was still popping. It’s a cool roll, with crab and cream cheese rolled in rice and seaweed, lightly tempura battered and topped with spicy tuna, crab mix and sliced lotus root, finished with sweet eel sauce and green tempura bits. Still the same roll as I remembered it to be. Its textures and flavor are definitely there, but man this bad boy is heavy. Beware when ordering it with a ton of other dishes, but by itself, it serves as a hardy well-reasoned choice! All in all, our visit to Ra was surprisingly delicious and worthy of another attendance. New fresh dishes and innovative ideas have led Ra in the right sushi direction. With so much competition, their happy hour times still makes them stand out (3-7pm and 10-11pm Monday-Saturday and 3-11 pm on Sunday). With their new great food, its hard to pick another place to go to. Tomorrow is Memorial Day and Ra is having happy hour ALL DAY. It’s supposed to rain (surprise, surprise) so head to Ra and try their new dishes!